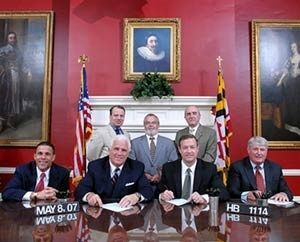 On May 8, 2007, the legislation creating the Anne Arundel School Board Nominating Commission was signed into law. BACK ROW CENTER: TAAAC Executive Director and SBNC Kingpin Bill Jones. FRONT ROW: Lt. Governor Anthony Brown, Senate President Mike Miller, Governor Martin O’Malley, and House Speaker Mike Busch. Last Tuesday evening at 8:51 pm the Capital published a news article, “School board candidate reconsiders withdrawal.” The article was extraordinary for the news it reported. The previous Saturday the Capital had reported that Timothy Boston, nominated ten days earlier to a Board of Education seat by the Anne Arundel School Board Nominating Commission, had withdrawn his nomination to Governor Larry Hogan. Now it was being reported that he had announced a change of mind: he would once again allow his nomination to be passed onto the Governor. The article also included vintage Capital self-promotion in a news article: “Over the weekend, The Capital reported the school board nominating commission does not conduct background checks.” Hurray to the Capital, inveterate truth pursuer on behalf of the public! This self-promotion was done with high art: “Boston said the request Saturday to withdraw his application was not related to The Capital‘s story on his financial and legal history.” Touché! Capital news reporters have often used their news stories as an opportunity to gain experience for the higher paying PR jobs they can aspire to. The PR logic of this self-promotion reminds me of journalist Michael Kinsley’s observation that a “A gaffe is when a politician tells the truth.” As I’ve observed its self-promotional practices over the years, the Capital feels most compelled to claim credit for its investigative reporting when it deserves the least credit. So who is the greatest villain in this story of democratic malfeasance? My own opinion is that it’s not the current SBNC, the prior SBNC, Timothy Boston, County Executive Steve Schuh, Governor Larry Hogan, the Republican commissioner faction, or the stakeholder commissioner faction (newly christened as the “community members” by the Capital). The greatest villain is the Capital itself because when newspapers act utterly irresponsibly over an extended period they turn public officials into “wolves,” to use Thomas Jefferson’s turn of phrase describing what would happen to our democracy if either there were no newspapers or newspapers acted as irresponsibly as the Capital has with respect to the SBNC (see the Jefferson quote at the top of this article). Since 2008, when the SBNC came into existence, the Capital has provided abysmal coverage of it. From the Capital’s standpoint, the SBNC wasn’t interesting because it had no internal conflict. Again and again, I would ask the Capital education reporters (usually in their early twenties, just starting off in journalism, lasting on average only one year on the education beat, and paid about $30K/year with mediocre benefits) why they didn’t attend the SBNC’s public meetings. The reporters would reply that the editors wouldn’t assign them to it because it wasn’t a priority. So how did SBNC news get into the Capital? Other than relying on SBNC press releases, the Capital reporter would contact the SBNC’s chair and regurgitate his talking points. Look through the Capital coverage of the SBNC from 2008 through 2015 and you won’t find a single instance of the Capital citing an SBNC commissioner other than the SBNC’s chair. Not until the first meeting of the new SBNC on Nov. 17, 2015 does the Capital for the first time cite commissioners other than the chair. And NEVER—not a single time, if my memory is correct—has the Capital reported on the public testimony of even a single individual between January 17, 2008 and January 7, 2016, the SBNC’s most recent public meeting. It wasn’t that there shouldn’t have been abundant controversy associated with the SBNC. Indeed, the fact that there was no controversy should have been the biggest controversy of all. In what healthy democracy is there no overt conflict? Healthy democracies are always built on well-structured, usually multi-party, conflict. Meeting in secret to discuss administrative matters without any public notice and in violation of Maryland’s Open Meetings Act. Claiming to the Open Meetings Compliance Board that public meeting notice was sent without being able to produce any such notice. Retrospectively posting minutes for public meetings held in secret without any public notice that the meetings were held in violation of the Open Meetings Act. Adopting one set of procedures for favored Board of Education incumbents seeking re-election and another set for other candidates. Making substantive procedural changes–unlike the Maryland General Assembly, the County Council, and the Board of Education itself–without public notice and comment. Going 8 years—from Jan. 17, 2008 to Nov. 17, 2015—without allocating any time for the public to comment on changes in procedures. Making vital procedural changes by fiat without even bothering to make them at a public meeting. Creating “secret law” by not posting minutes for years at a time and otherwise effectively hiding important procedures from the public and school board candidates. Arguably the most notable outrage was the supermajority voting rule passed in 2008 without any public notice or permission for public comment. (The most Orwellian moment of the SBNC’s Nov. 17, 2015 public meeting was when Commissioner Bob Burdon claimed at 22:10 that the supermajority requirement was “an issue that was addressed thoroughly back in 2008.”) Passing the supermajority voting rule was no violation of law, just a violation of core democratic norms that would eventually give the public union bosses veto power over SBNC nominees. Good luck finding any discussion of that supermajority rule change, let alone its huge practical implications, in an archived Capital article. That’s because you won’t find any. The simple truth is that the Capital wasn’t interested. And by not being interested, it gave the SBNC carte blanche. What is different now is that the SBNC’s procedural violation has undeniable and hugely embarrassing electoral implications that cannot be swept under the rug, if only because of the new internal divisions within the SBNC and the powerful political forces opposed to a change in the status quo. The Capital may have nourished an environment where procedural abuses were rewarded, but those abuses have now become so obvious to the public that even the Capital cannot ignore them. Consider that within a day of the time that the SBNC nominated Boston to the Board of Education the Anne Arundel social media world was filled with wonderment at how the SBNC nominated him. Within 24 hours of his nomination (that is, nine days before the Capital’s “background check”), parents and teachers had already done substantial investigations of his teaching experience in the AACPS schools—investigations that had nothing to do with court records. Perhaps it could be said that the Capital was the last, not the first, to discover that the SBNC hadn’t done a “background check.” My op-ed in the Washington Post, Did the Anne Arundel School Board Nominating Commission violate election law?, published three days before the Capital’s “background check” story broke, had also already been sent to most Anne Arundel elected officials, some via the AACPS PR office itself. Note that if the Capital has one remaining competitor that it has to be concerned about, it is the Washington Post. But the Washington Post sends no reporters to cover Anne Arundel County’s SBNC or Board of Education, so the Capital doesn’t generally have to worry about a competitor scooping it or revealing sloppiness or bias in its news coverage. The Capital’s bogus framing of the SBNC’s malfeasance in terms of background checks is also revealing. The Capital framed its story (a framing it reiterated in a subsequent editorial) in terms of its discovery over the weekend that the SBNC doesn’t do background checks. The title of its article, School board nominating panel doesn’t do background checks, highlights that framing. What the Capital actually means by “background checks,” as it reveals in the article, is a search of government records. But no one needed to do such a background check on Timothy Boston to determine he wasn’t qualified to be on the Board of Education. One merely had to glance at the resume he submitted to the SBNC and that was publicly available online prior to the Jan. 7, 2016 public hearing. That’s what got all the parents and teachers interested in investigating his AACPS career. The reliance on government records tells you more about the Capital’s economic incentives than it does the SBNC’s motives and behavior. The Capital relies on government background checks for the same reason it relied for many years on the SBNC’s chair to provide it with SBNC news, and for the same reason that most of its education reporting consists of revising press releases provided by AACPS, which has a PR budget more than 10 times the salary of the Capital’s education reporter. The reason the Capital rarely if ever does its own original investigative reporting is that it is viewed as too expensive and controversial. Instead, it relies on the government to do the research. It then reports on that research as though the key investigative work was done by itself. With government research, you can sit in your armchair and quickly get the information you need. When it’s in the form of PR, it just comes to you without any effort on your part, which is even better. And since the source is the government, the government, if necessary, can be blamed for any defects in the research. There is a reason the Capital’s longtime owner, Frank Batten, was a Forbes 400 billionaire and that the Capital hid this fact from its readers for many years (the Capital has since been bought by the parent company of the Baltimore Sun). In recent years the primary background checker on the SBNC was TAAAC Executive Director and SBNC Commissioner Bill Jones. Candidates who passed his background check were good to go. Perhaps the best investment a relatively unknown candidate could make was lunch with Jones. But Jones is no longer the SBNC kingpin; indeed, his background assurances may now harm a candidate’s chances of winning a nomination. With the Republican commissioners distracted by many other priorities, it’s hard to imagine who among them could replace Jones’ combination of diligence, skill, and network of information resources. Ponder this warning/threat, which the Capital chose not to report, made by Commissioner Bob Burdon to his fellow commissioners at the Jan. 7, 2016 public hearing. The consequence of the SBNC not nominating any minority to the District 30 or 31 seats “might be a lawsuit on minority representation” because there would be no minorities left on the Board of Education. This is taken from my notes, and I haven’t been able to check on Burdon’s complete statement because the SBNC has not publicly released its webcast of the Jan. 7, 2016 hearing. As an aside, note that Burdon leads the Annapolis and Anne Arundel County Chamber of Commerce, which convenes meetings attended by Capital ad salesmen and includes as members some of the Capital‘s most profitable advertisers. Most of the Capital‘s revenue comes from ads, not subscribers. As a lobbyist on behalf of the Chamber, much of Burdon’s success depended on good relations with the Maryland State Government’s Democratic leadership, who have the power to pass and block bills. The latter point helps explain why the Republican Schuh administration wants legislation to rotate Burdon’s seat among different Anne Arundel chamber leaders. To my knowledge, the Capital has never publicly acknowledged its financial dependency on Burdon’s goodwill. The complex relationships between the Capital, the SBNC commissioners, and the commissioners’ sponsors is enough to make my head spin. I want to conclude with a minor but nevertheless revealing observation about the Capital’s article, School board nominating panel doesn’t do background checks. The same night the article came out I tried to submit a comment. However, the Capital’s comment page would not accept comments. To make sure it wasn’t just me that the Capital was blocking, I got a half dozen other people to confirm that they were being blocked, too. The next morning one comment was mysteriously posted, and early in the afternoon a second comment was mysteriously posted. I say “mysteriously” because the comment feature still did not generally work, and I personally checked it a least once every two hours between 11:00 am and 11:00 pm. I don’t know what is going on here, and I’m sure the Capital has some good excuse for this sequence of events. But at the very least, if the Capital doesn’t intend to accept public comments on one of its especially controversial and self-serving news reports, it shouldn’t post a comment box as though it were open for comments. This question of a potential discrepancy between the Capital’s actual and public commenting policy isn’t trivial. The Capital is a local news monopoly—more so than ever since its closest competitor, the Baltimore Sun, purchased it. For decades, when broadcasting consisted of an oligopoly of just a few TV stations in a given media market, broadcast TV was obliged to comply with the Fairness Doctrine, which required that TV stations give opposing views within their media markets a fair chance to be heard. Even today, when Donald Trump appears, as he did last fall, on NBC’s Saturday Night Live, opposing candidates must be given equal time—although that’s a small leftover of the original Fairness Doctrine, which was made obsolete by the proliferation of TV channels. Local newspapers with monopoly market power, not merely oligopolistic market power like the TV stations, fought similar antitrust regulation (local newspapers are exempt from antitrust law) partly by arguing that they were in fact a public forum where any reader could submit an opposing view and be heard in their local community. As far as I can tell, the Capital has not been forthcoming in revealing material details of its actual public commenting policy. Insofar as the Capital has a strong incentive to appear to have a more open public comment policy than it actually has, the public should be wary. I remember shuddering several years back when the Capital publicly acknowledged that it had decided not to publish all public comments in the print version of its newspapers, observing that instead people could submit comments online if they wanted their views to get an airing. Competition is much better than an impossible-to-verify public comment policy. But in the absence of competition, the public should hold a local monopoly newspaper to account for a secret, self-indulgent, and unaccountable reader comment policy. For the Capital’s similar effort at controlling the narrative in its prior article on SBNCgate, see The Capital’s Orwellian Rewriting of “Public Documents”. In notifying the public about the SBNC’s violation of the two public hearing rule, I had to choose between waiting until the Governor had already made the school board appointments or do it now. Although I wrestled with this question, I decided that the right choice was to report the violation now and save the hassle of the inevitable litigation and embarrassment that would otherwise have resulted. The benefit of delay would have been that the resulting litigation and embarrassment would have made it harder for the SBNC and Capital to sweep the problems with the SBNC under the rug. Litigation could have gone on for months and cost the County tens of thousands of dollars–a constant reminder of SBNC corruption, school governance problems more generally, and the Capital‘s dereliction of duty that made this all possible. In my judgment, the Capital‘s reporting leading up to and immediately after the SBNC’s Jan. 7, 2016 public hearings and nominations was abysmal in explaining to the public the political forces that have been at work in shaping the SBNC both past and present. Of course, no elected official or lobbyist will seek to educate the public on the Capital‘s malfeasance. As the political aphorism goes, “Never pick a fight with someone who buys ink by the barrel; they always have the last word.” Nevertheless, I expect the Capital will do better its next go-around. This evening the SBNC scheduled a second public hearing for Feb. 1, 2016 at 6:30 pm in room 310 of the Arundel Center. It thus decided not to follow the Capital‘s editorial advice from yesterday, which was to avoid future public hearings and simply reappoint incumbents Webb and Ritchie to the Board of Education. It will be good to have this second public hearing required by law. Whether the SBNC and Capital will be able to avoid additional embarrassment is unclear at this point. I’m sure both will do what they can to control and thus spin the story line. But thanks to SBNC-gate, I suspect the public already has a much better education about the political forces that have been shaping the SBNC both past and present. As for having a thoughtful discussion in our County about school governance that goes beyond soundbites about the merits of an elected vs. appointed Board of Education, my guess is that that is simply too much to ask. I have a Ph.D. in American Government with a focus on political communications from Northwestern University, which has one of the great journalism schools, Medill. I originally came to the Washington, DC area as an American Political Science Association Congressional Fellow in Communications & Public Policy. 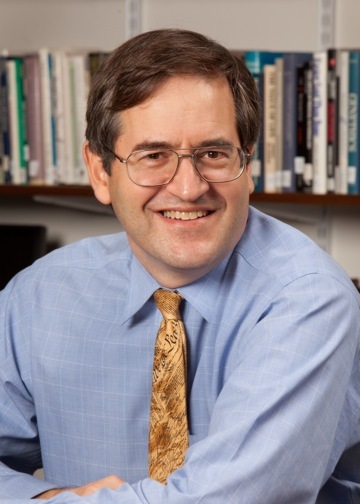 I then worked at a major DC think tank, the New America Foundation, covering media policy, followed by serving as a fellow at the Harvard Kennedy School of Government’s Shorenstein Center on Media, Politics and Public Policy. Needless to say, I am inclined to media criticism. This leads me to an important caveat: nothing in this critique of the Capital should imply that the Capital has lower journalistic standards than many other local newspapers that have substantial monopoly power in their local market and are part of media conglomerates that structure their subsidiaries’ news reporting to maximize profits and protect their monopoly control.